Pierre Bonnard review – monumental, monstrous – and rubbish at dogs: to start, a rare sceptical response from Adrian Searle for Guardian. At Tate Modern: Alice Sprawls for London Review of Books: ‘While in reproduction Bonnard’s paintings lie still and accessible, their colours fixed and flattened, when you are in front of them the canvases seem to swim; his habit of painting everything with equal intensity, equal vividness, means that even shadows and empty spaces are animated and his sometimes too fussy brushwork blurs edges and undermines depth. 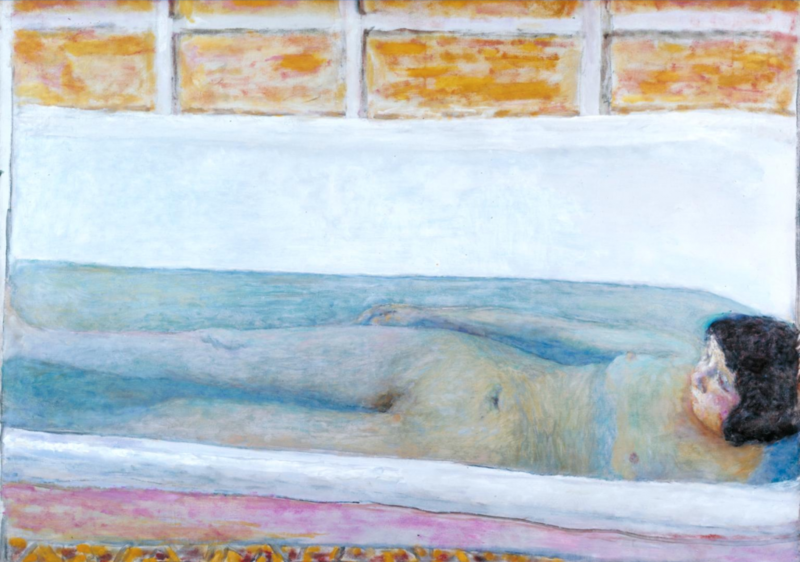 An engrossing way to experience Bonnard’s work without leaving home is through WikiArt’s 235 reproductions of his paintings, arranged in chronological order, and which for the most part are of very good quality. Another exceptional free resource is the .pdf of MoMA’s catalogue from their (and Tate’s) 1998 retrospective. This features exceptional essays by Sarah Whitfield and John Elderfield.